Cottage garden March calendar. 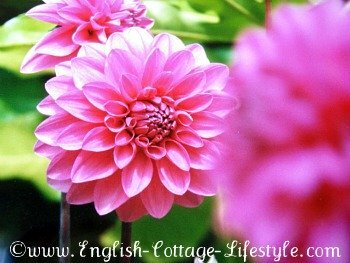 Thing’s to do in the cottage garden this month. March brings the beginning of spring. Weather can still be cold and winds can still be strong but it should feel a little warmer. For the cottage gardener March also means the beginning of the gardening season, its time to prepare the soil and grow the plants you love. March is a good month to collect rain water. If you have space you may want to add a container for collecting water in your cottage garden. It can be recycled or you can buy one for the job. Old barrels turned into water buts look lovely in a cottage garden. March is also time to prepare the soil for your flowers and vegetables. If you soil is cold add a cloche or polythene cover over the soil to warm it up for a few weeks before planting. While the soil is still moist you may want to add a layer of organic mulch to keep the moisture in on dryer days. Temperatures vary all over the country and your garden will have it’s own micro climate so take that into consideration. You may need to adjust this March calendar a little for your own cottage garden but it’s a good place to start. Make a note of these tasks in your calendar. Prune roses, except rambler roses. To keep this years flowers do not prune rambler roses. 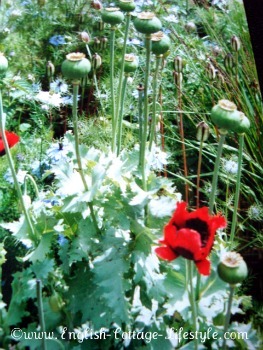 Sow hardy annuals. If the soil is cold warm with cloches two weeks before planting. Cottage favourites include: cornflowers, Nigella, poppies and sunflowers. Cut down old winter growth. Cut back hydrangeas. Lift and divide overgrown summer flowering herbaceous perennials. Put out a saucer of beer to reduce slug damage to young shoots of lupins, delphiniums, phlox and other herbaceous perennials. Single flowered hardy annuals can be sown directly outside in March and April. Cottage favourites include: poached egg plant, calendula and Californian poppy. Plant Primulas outside. 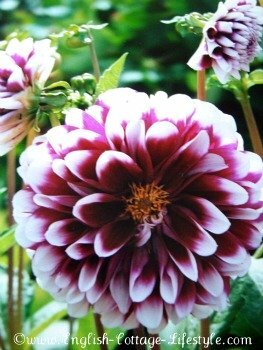 Now is the time to plant dahlias. Plant herbaceous perennials, hardy perennials, hardy annuals, small trees, shrubs and climbers. Plant containers with hardy plants. Harvest Time: asparagus, cauliflower, kale, lettuce, leeks, radishes, parsnips, rhubarb, spinach, salad, spring onions and Swiss chard. Prepare soil and seed beds and start sowing outside regularly. Plant small amounts of seed and plant at weekly or ten day intervals for a succession of vegetables. Sow: lettuce, radish, peas, broad beans, spinach, cabbage, beetroot, parsnip and turnips. Plant asparagus crowns and globe artichokes. Cover rhubarb to block sunlight. Plant climbers and add supports to young plants. Plant bare-root plants and bare-root hedging plants this month. Clean pathways and have a general spring clean. Help bees, butterfly’s and wild native flowers by creating a garden meadow. Check all gardening tools and equipment is well maintained.